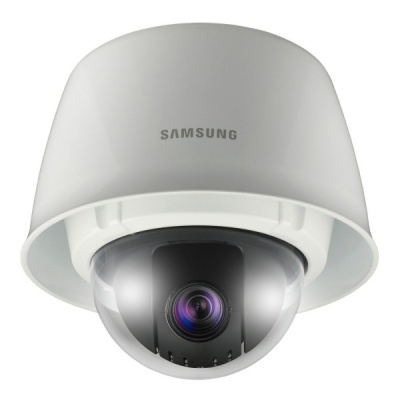 The SCP-3120VH PTZ dome cameras feature 12x optical zoom, clear color images at 600TV lines resolution. With high-speed pan and tilt operations at 650˚per second, these cameras capture broad areas quickly. Especially, with SCP-3120VH's vandal-resistant body, these offer unparalleled durability and exceptional anti-shock protection. In addition, these models include a WDR, VPS, Coaxial control and intelligent video analytics function for vivid images and user convenience.